The duo was given the honour of opening the Nobel festivities at Stockholm City Hall. Mozart met Simon&Garfunkel, signed Lise&Gertrud. From Berwaldhallen you'll hear Ricky Martin hilariously translated into Swedish. 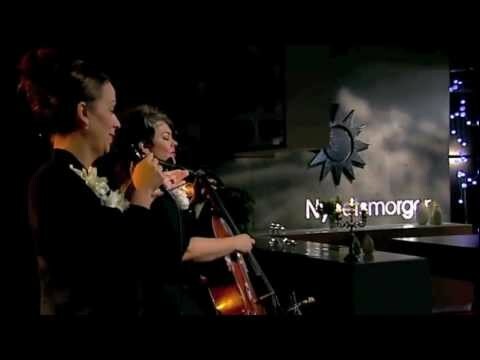 The latest spot is from TV4 "Godmorgon", in connection with their latest show "Liv är att ta sig ut".